Interested in learning more about Diamond Coach? Contact us to discuss your options. 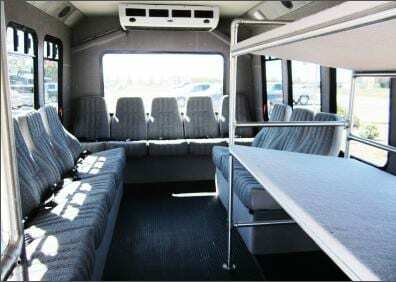 Built on a 208″ Ford E-450, the Diamond VIP 2800 Bus offers seating options for up to 28 passengers. 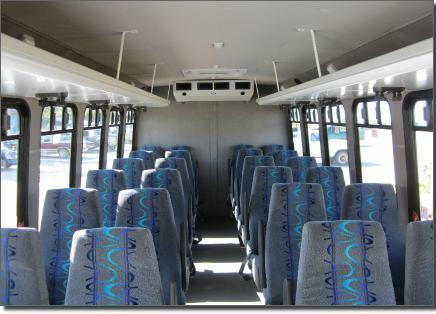 With an optional rear luggage compartment with 24 passengers, this bus series is ideal for transportation across town or across the country. 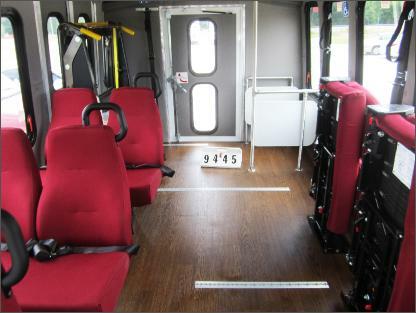 The flagship of the Diamond fleet, the VIP 2500 bus has floor plans ranging from a maximum of 25 passengers to seven wheelchair placements. 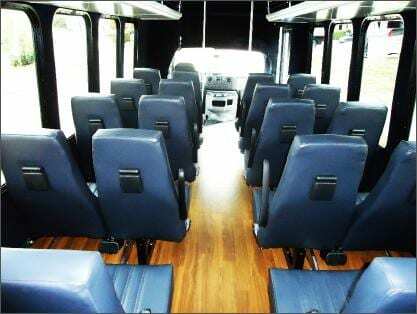 Built on a 176″ Ford E-450 chassis, the VIP 2500 can be equipped with many of the luxury options of a “big bus” or customized to fit your needs. 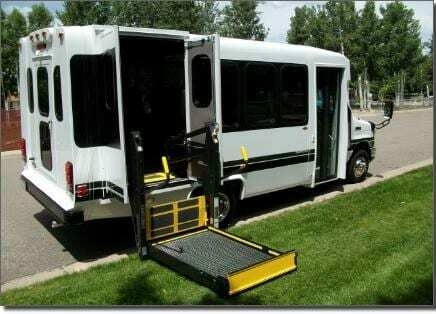 It is available with front or rear lift, a variety of storage choices and much more. 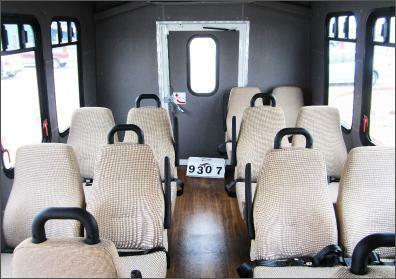 The VIP 2500 rides like a big bus, but handles like a small one. 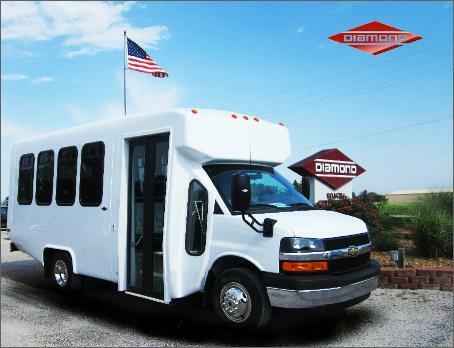 The Diamond VIP 2200 is a perfect combination of size and maneuverability and some models do not require a CDL. 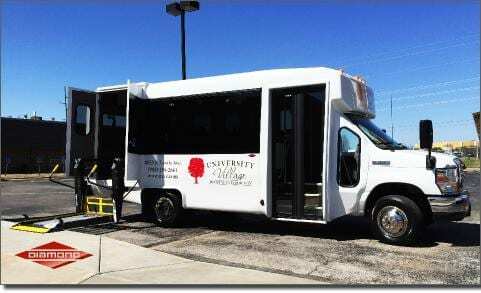 With seating options ranging from a maximum of 21 passengers to 6 wheel chair placements it is an ideal choice for churches, assisted living facilities, retirement centers and more! Coming on your choice of a 158″ Ford E-350 or E-450 chassis, standard equipment includes fabric ceiling panels, Rosco mirrors, Raised floor (no wheel wells), ABS light bars, Fiberglass step well, Roof hatch, Black anodized aluminum finish entry door, 3/4 inch exterior grade plywood floor, and Blade-type fuses. The perfect replacement for your 15 passenger van, the VIP 2000 comes on a 138″ Ford E-350 chassis and models do not require a CDL! 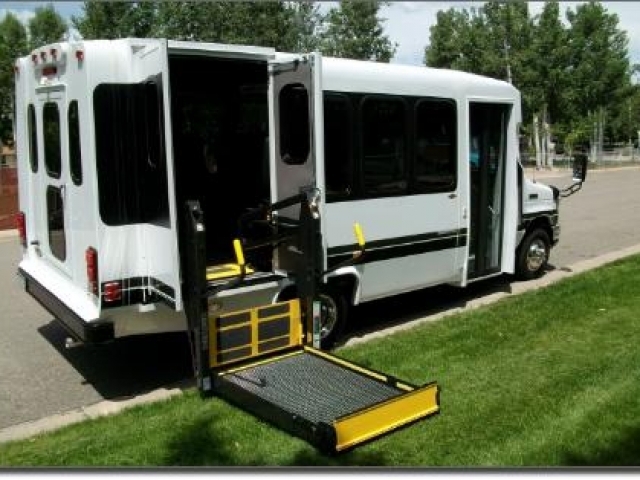 With the optional wheel chair lift, your passengers have easy access through the 36″ electric door or through the lift door. 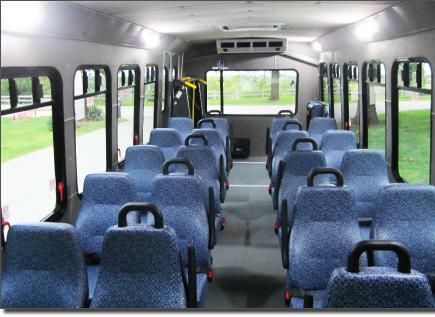 Known for maneuverability, the VIP 2000 offers easy handling, but is large enough to accommodate up to 17 passengers.The VIP 2000 can be equipped with many of the luxury options of the “big buses”, or customized to your needs with a variety of seating packages and many storage choices. This model is ideal for churches, assisted-living facilities, retirement centers and more! 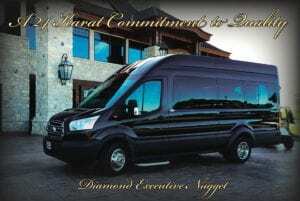 The all new Diamond Executive Nugget is built on the Ford Transit, and lets you arrive in elegance and style! 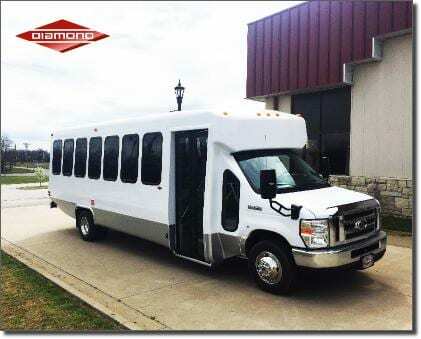 This model features executive Leathermate seating for 14 passenger, rear luggage storage, upgraded 65,000 BTU air conditioning, wood flooring and LED mood lighting. 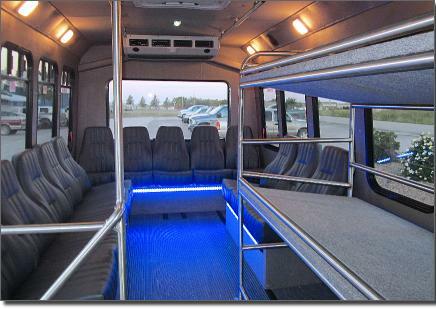 It also includes stainless steel running boards, stainless steel grab handles, privacy glass, NAV/audio/video systems, dash kits, and is FMVSS & ADA compliant. This Diamond Executive Nugget embodies their 24-Karat commitment to quality! For more than five decades, Diamond Coach customers have become the most loyal in the industry. They have learned the incredible difference between buying a bus and making a transportation investment. Certainly you can spend less for a comparably sized vehicle, but you cannot get more for your money. Diamond gives you additional payload and superior strength due to the unique composite construction. That also gives you increased efficiency and lower operating cost. 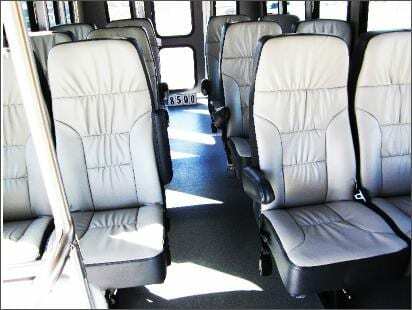 Attention to detail in both design and assembly literally allows passengers to hear the difference by enjoying the ride in a Diamond Coach without the normal squeaks and creaks typical of so many commercial vehicles. 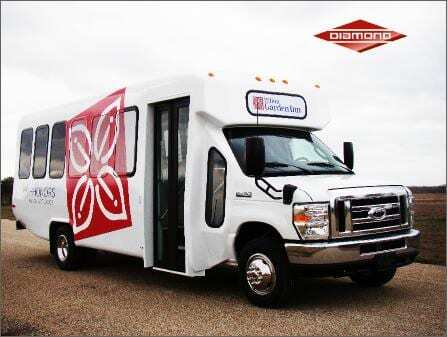 Buyers who have experienced the quiet ride, efficient operation, trouble-free ownership and higher retained value of a Diamond Coach simply never consider any other option. They learned the tremendous difference between buying a bus and investing in a coach.